Jimi Hendrix Guitar Riffs, Foxey Lady - Free Jimi Hendrix Guitar Riffs! This free Jimi Hendrix guitar riff is "Foxey Lady". Here's the intro to the song and I'll teach you any other parts if you request it. The 1st part of this Jimi Hendrix guitar riff is the hardest part to get to sound like Jimi plays it. Start off with the volume low and gradually turn it up while at the same time putting alot of vibrato on F# on the 11th fret. Then at the end before you slide down get some feedback by putting your guitar close to the amp. Jimi uses the Fuzz Face pedal as he does in so many of his songs. There are 2 guitars playing in this Jimi Hendrix riff. 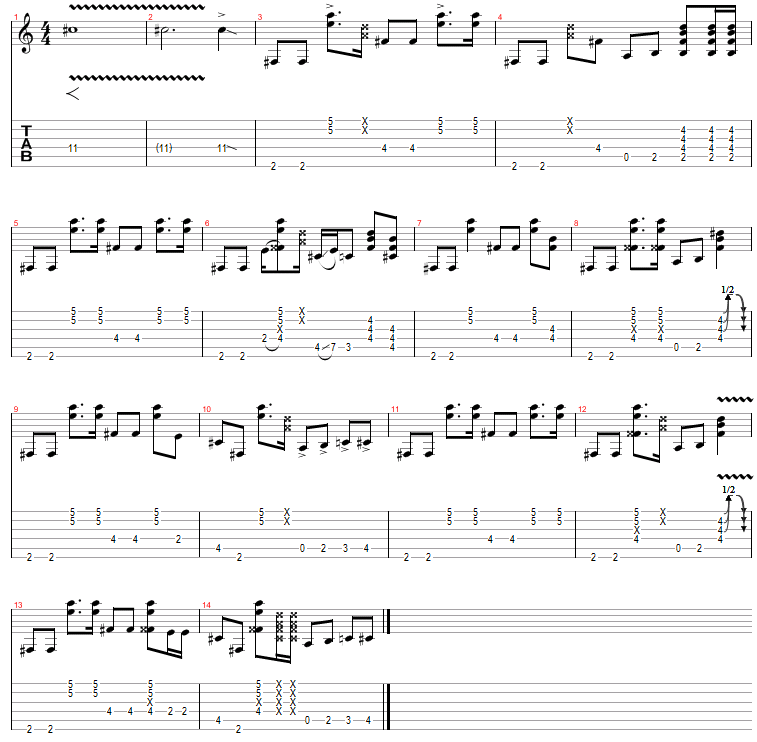 The 2nd guitar comes in at the 5th measure. So don't worry about playing that. But I can post the tab if you want, just send me a message.